Educated at Grammar School then day release at Brooklyn Tech and North Bham Poly at Perry Barr. Ian studied architecture via Open University at DeMontfort University. He is also an Associate member of CIAT and has worked on international projects in Moscow, Dubai and Majorca, also worked closely with Architects in Athens for refurbishment office projects. During a 5 year break from Architecture Ian became qualified Pub Manager for Bass Charrington and worked in London and Coventry. He also ran his own pub in Tamworth for just over 2 years. 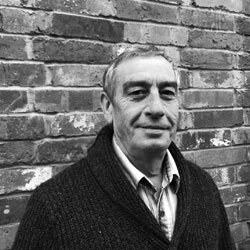 Ian produces detailed working information, technical detailing and is very experienced at developing practical solutions. Outside of work he enjoy music, gardening, DIY, socialising with family and friends and has been very active with the Royal British Legion.